Is Christmas advertising becoming a parody of itself? 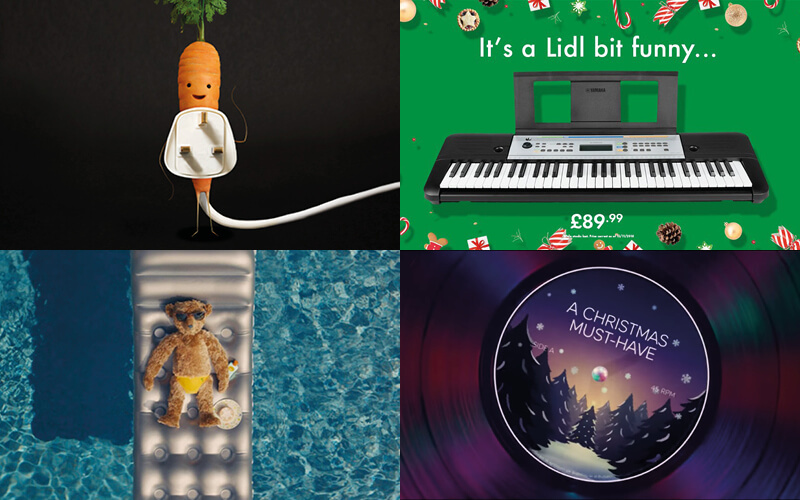 If you think back to life before 2010, do any memorable Christmas TV adverts come to mind? Chances are, the answer is no. This isn’t surprising – cinematic Christmas ads were largely unheard of back then: we all relied on the Coca-Cola truck to assure us that the Holidays were coming, and Geoffrey the Giraffe always helped Santa deliver the presents from Toys’R’Us. Nowadays, most retailers have done a complete 180 on their Christmas strategies. The focus is now on who can create the most lavish and memorable campaigns, while being able to create experiential tie-ins and, ultimately make the most money. In recent years, we’ve seen some of the most poignant examples of emotive advertising to suit any budget – with a few turkeys to boot. We all know by now that Christmas is dominated by the big-name department stores and supermarkets – but this year is looking to break all the records, for all the wrong reasons. For starters, retailers are on track to spend over £6.4bn this on their Christmas campaigns alone – up nearly fifty per cent in eight years. They also seem to be going out of their ways to rip each other off (and for some of them, it’s really not working). How times change, right? After recently seeing quite a damning article in The Guardian about the future of Christmas TV adverts, it got us thinking: have they got a point – has the Grinch truly stolen Christmas? I’m not sure, but this year’s lacklustre attempts can’t be helping. Why are we obsessed with Christmas adverts? The favourite across the office thus far this year has been Sainsbury’s. We are well and truly all about that #PlugLife – especially more so because it didn’t choose us. The Big Night gave us the primary school play that dreams were made of – with all the glitz and glamour of the West End – without the kid that cried halfway through due to stage fright, and of course, with all the Christmas staples. My favourite part about The Big Night is the fact that the audience in the advert is made up of the children’s real parents – not actors. Their joy is real – which is why I think the ad works so well for pulling on the heartstrings (even if some news outlets are indifferent). And naturally, we all really want to dress up as a giant plug and throw ourselves at a wall. It is definitely an improvement on last year’s efforts, which left a lot to be desired, or 2016’s morally-questionable #GreatestGift. Naturally, next up is #EltonJohnLewis – who are now veterans of the Christmas campaign, and arguably the Emperor of the modern day Christmas ad. Featuring a celebrity who came with a £5 million price tag, this year’s advert did not appeal to my tastes, but it was still incredibly well done (even if to me, it just felt like a cheap way of reminding customers that his farewell tour was going on sale soon). The ad itself is incredibly well put-together, and the little twist at the end is capable of thawing the coldest of hearts, but I still don’t quite understand why this year was the year John Lewis wanted to break their otherwise-successful marketing mould. Even though we’re in the eleventh year of John Lewis adverts (not that anyone remembers the first few), they still spent four years honing their craft. After all, it wasn’t until 2011 when we entered the era of Frankie Goes to Hollywood songs, lonely penguins and trampolining boxers. John Lewis have earnt themselves a reputation as being really good at the Christmas TV ad. Every year, they establish similar narratives, drawing their audiences in before sweeping the rug from under your feet with a twist and a (mostly positive) call to action. Since they’ve repeated it for this long, the John Lewis Christmas advert is now a staple of the season. That was, until this year. The narrative has become so concrete in John Lewis’ Christmas advertising strategy that Chris Moyles was able to predict how it would begin, with an incredibly accurate parody that took Twitter by storm when released. Is this the new John Lewis Christmas Advert…? Even Lidl felt the need to jump on the bandwagon – a clever way of keeping the budget supermarket in-mind for the festive season. They made a point of proving to budget shoppers that their gifts didn’t have to be as ‘extravagent’ as what John Lewis expects, but can still be as meaningful. The most bizarre parody of all, however, came from Waitrose & Partners. Their second Christmas ad of the season featured a family, who, instead of watching John Lewis’ efforts – fast forwarded through Elton singing in favour of eating a dark chocolate stollen wreath. Despite the positives mentioned above, for a partnership that came up trumps with their first joint campaign as “John Lewis & Partners”, this combination of ads feel like they’ve missed the mark somewhat. This is probably down to the fact that planning to rip your partner brand a new one in a Christmas ad understandably seems a bit… odd. Similarly, Marks & Spencers seem to have regressed massively this year. After a run of two successful Christmas campaigns (featuring Mrs Claus and Paddington Bear in 2016 and 17, respectively), they’ve gone back to their roots. Poor M&S have not had a good year. Not only have they been failing massively on the high street (as a result of years of refusing to adapt to the times), they have no young consumer base. If they had continued with their well-thought-out cinematic efforts, perhaps their pain could have been eased a little. Instead, they’ve recruited Holly Willoughby as a brand ambassador and assumed that she would solve all their problems – except she hasn’t (yet). Maybe their consumers are a bit past “tried-and-tested” and didn’t want to see Holly scrambling under a Christmas tree to (unsurprisingly) discover a hidden world. Retailers this year seem to be obsessed with, effectively, ripping each other off. When the first ad of the season (#SaveKevin, from Aldi) debuted, we saw Aldi’s celebrity Carrot driving a truck that was very similar to the one driven by Father Christmas in the Coca-Cola advert (he was even singing ‘Carrot is coming’ – talk about a soundalike), before running into difficulty and nearly committing mass-murder of his kin. Despite this, Aldi’s first effort of the season was met with a positive reception on social media – which has continued ever since. Instead of riding on the coattails of other retailers’ successes, Aldi have been very good at looking at what their audience are talking about and then tailoring their wider strategies accordingly. Since #SaveKevin started generating traction on Twitter, Kevin has been all about that #PlugLife – he’s also been upstaged by another celebrity Carrot. Well done, Aldi (or should that be: well done, Kevin?). Unfortunately for Aldi, the country seems to have gone Carrot-mad, with customers inciting violence over other marketing ploys (AKA Kevin and co stuffed toys). While these results are less-than-ideal, customers are still talking – even if it is about the wrong things. I doubt that – the retailers didn’t need my help. Ultimately, the Christmas ad (this year at least) has become little more than a stale cracker – leaving a bad taste in the mouth for customers. This leaves the industry wide open to parody and ridicule from within. The first few times might be funny – but then lacks originality and probably isn’t received as intended, either. Maybe next year will be better. Almost takes the magic out of Christmas, doesn’t it?